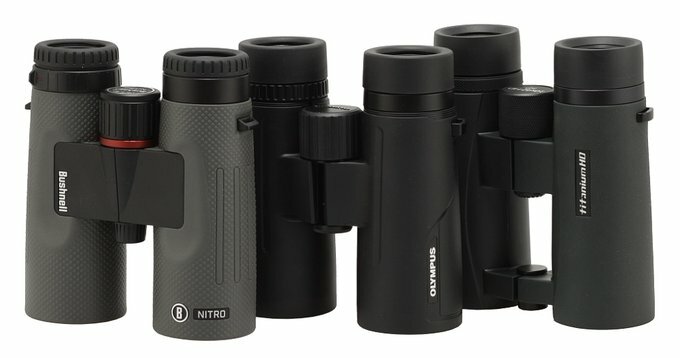 Bushnell Nitro 10x42 - binoculars review - AllBinos.com . 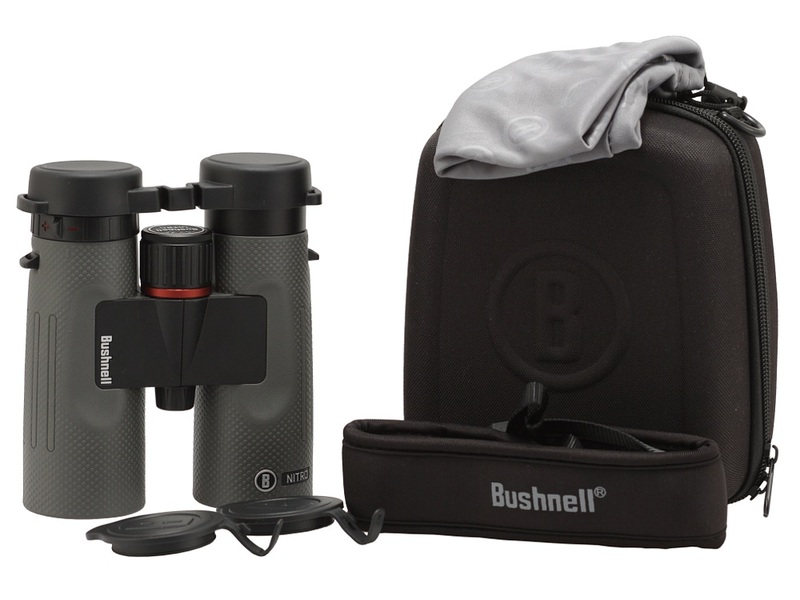 In 2018 Bushnell have revamped their binoculars offer almost completely. One of novelties presented that year was the Nitro series, consisting of three roof prism models with the following parameters: 10x25, 10x36 and 10x42. When it comes to optical construction, the objectives feature low dispersion ED glass along with Schmidt-Pechan prisms and PC3 phase coating. The producer also boasts of the fact that all air-to-glass surfaces are covered by antireflection FMC multilayers and the outer lenses are protected by EXO Protection hydrophobic coatings, repelling water, dust, debris and preventing scratching. 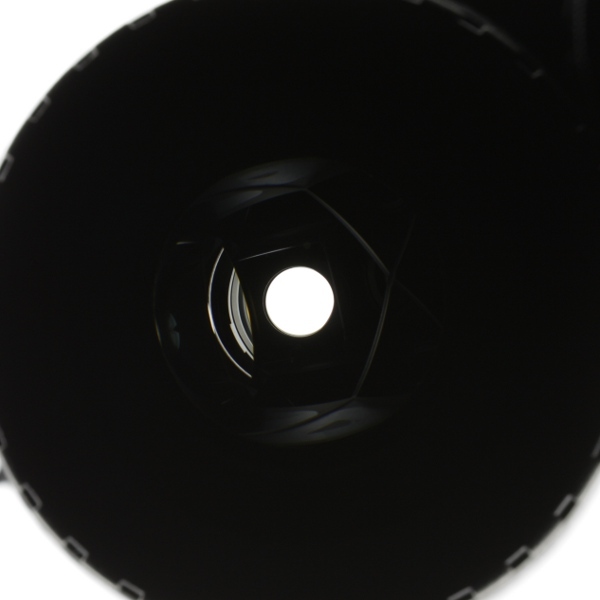 The binoculars are nitrogen-purged and waterproof up to a depth of 1 meter for 30 minutes (IPX7 norm). Buyers get removable objective caps, a rainguard, a comfortable strap and two cases: a hard shell and a soft one. 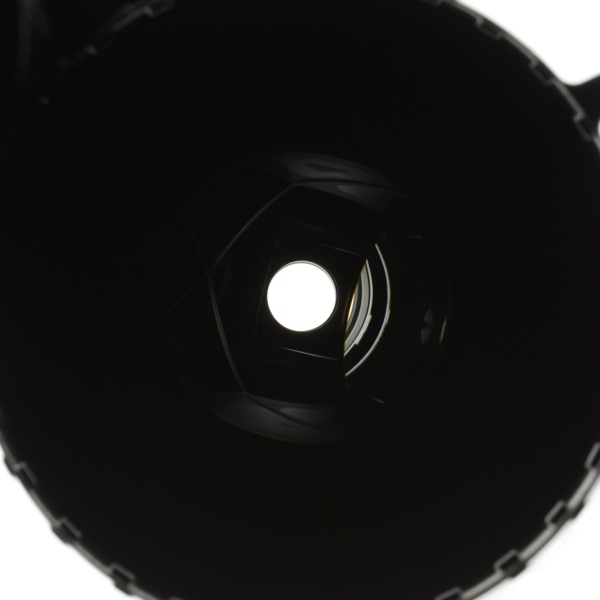 The binoculars come with a lifetime warranty from the producer. 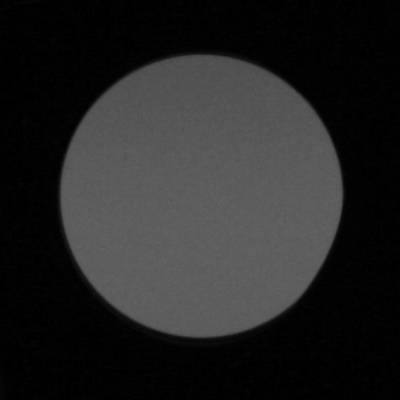 Apparent field of view of 61.7 degrees. a bit too light areas near to exit pupils. 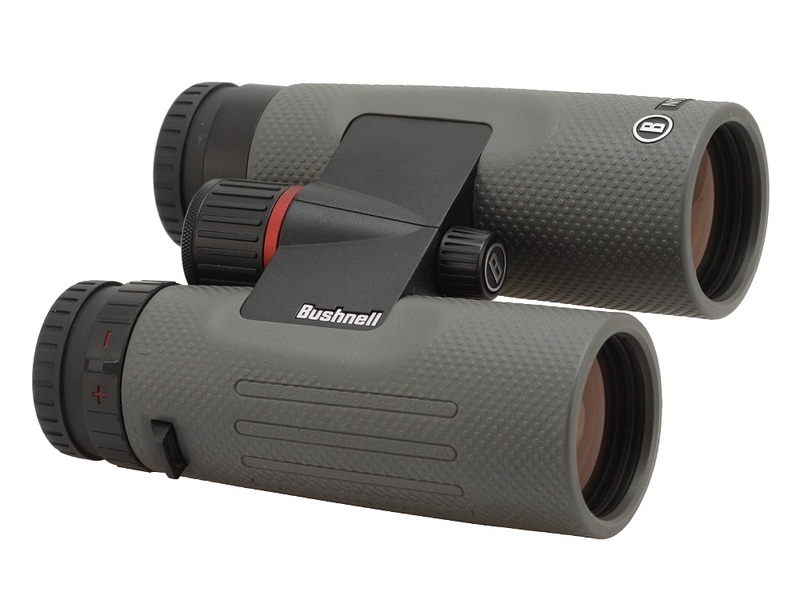 In our test the Bushnell Nitro 10x42 got a very solid result which put that pair of binoculars, within the margin of error, right next to more expensive models such as the Meopta MeoPro HD 10x42 and the Kowa BD 10x42 Prominar or, sold for a very similar amount of money, the Delta Optical Chase 10x42 ED. This fact in itself is alread a very good recommendation. 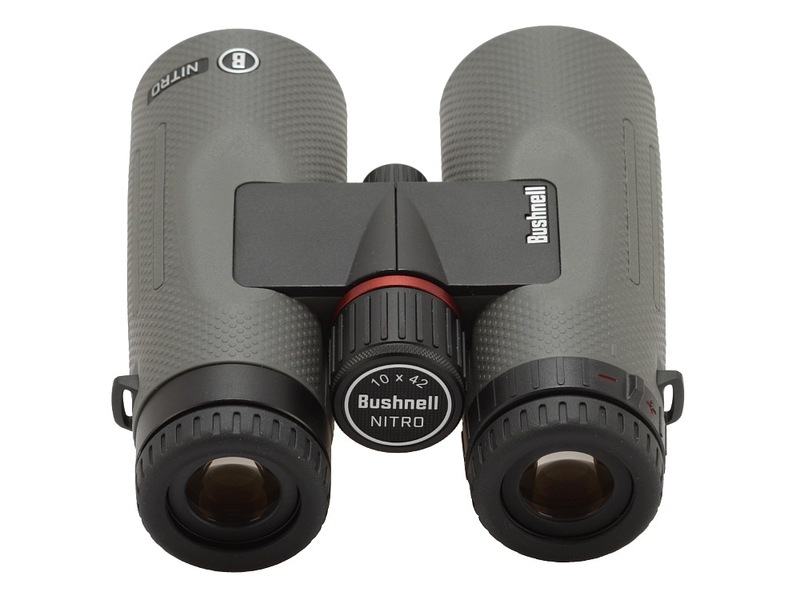 Bushnell Nitro 10x42, Olympus PRO 10x42 and Delta Optical Titanium HD 10x42 ED. Any significant flaws? There are two things we definitely didn't like. 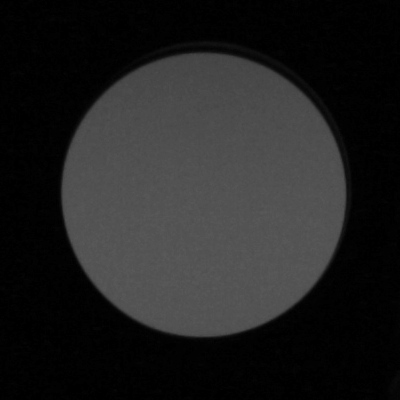 First of them was a sharp decrease of resolution on the edge of the field and the second – too low transmission. 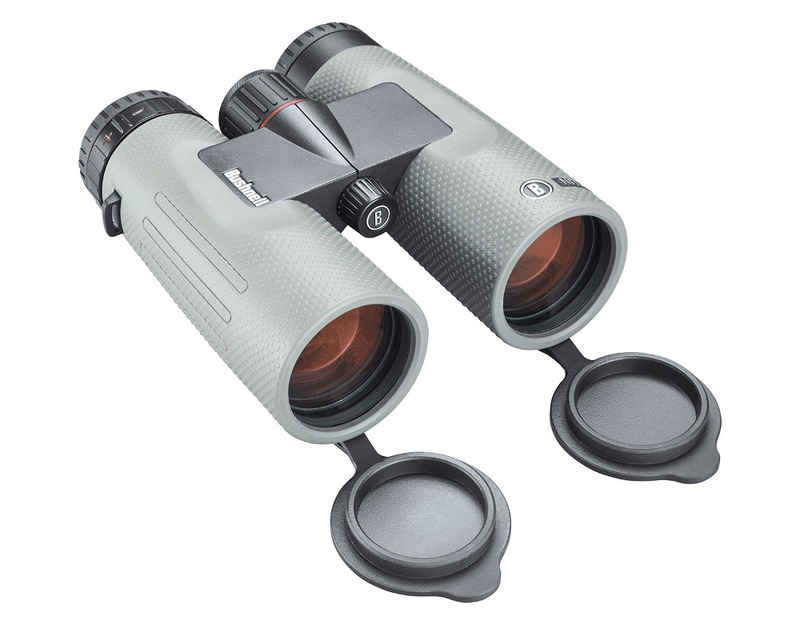 For a pair of binoculars which producers boast of high quality coatings covering every air-to-glass surfaces the graph, shown by us below, is placed several percentage points too low. 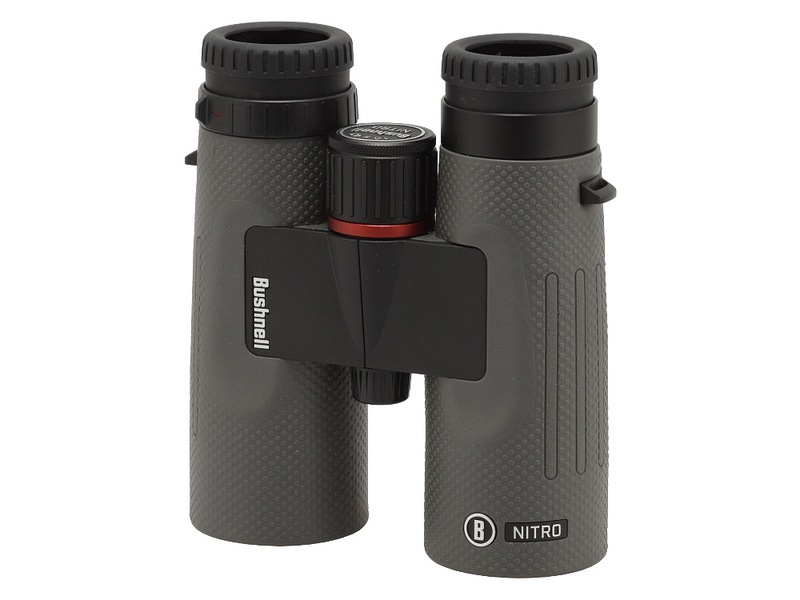 When it comes to my personal opinion the binoculars impressed me in a very positive way. The result of our test is an important aspect but the handling and comfort of usage is also significant, especially that both are very individual, subjective criteria, hard to reflect in any testing procedures. In my opinion the Bushnell Nitro 10x42 is not only nice to look at; it fitted my hands and eye sockets in a perfect way so I enjoyed using it very much. I would have nothing against taking that piece of equipment for nature trips to the forest. Finally one more remark. The binoculars are physically lighter than stated in the official specifications – without accessories the model we tested weighed 670 grams.